All fathers want a son… or do they? 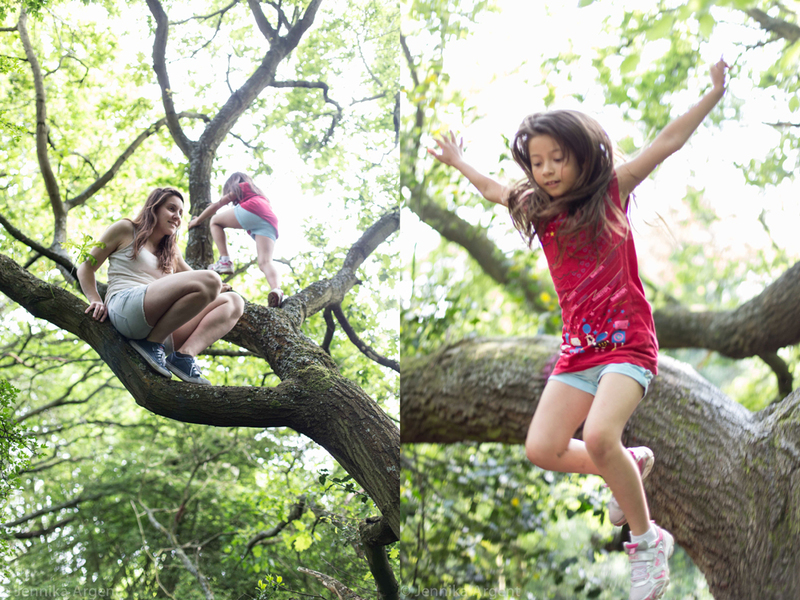 Playing in the branches of a big tree one summer afternoon, we came across a small girl. She climbed up to join us, her father waiting patiently on the ground below. We were surprised he was letting her climb so high without worry on his face. I asked him if he might write a piece for my blog, and a few months later, here we have it! There is a common preconception that a Man seeks a son to feel truly complete. Someone to play football with, to encourage through his sporting endeavours, and to pass on his knowledge and lessons in manhood. A pretty limited worldview it is fair to say, and pretty indulgent too. True or not, like so many preconceptions it is one which needs to be challenged and explored to find the truth. Certainly many men may gain pleasure in the familiar, and bringing up a son will keep them inside their comfort zone. The pleasure will come from the reinforcement received from succeeding in passing on the same lessons they learned themselves. But ultimately a son will establish his own identity and rebel against the father. This last fact is rarely taken into account by a man when questioned. Could it be this lack of examination and imagination which may be behind the ‘knee-jerk’ response in favour of a son? I am a father of a daughter. Did I want a son? No. Would I rather have a son? No. Can I envisage any aspect which would have been easier or more enjoyable with a son? No. When experiencing the pregnancy, I had fervently hoped to have a daughter. When the news was revealed, and my hopes were realised, I was one very happy man. Throughout my life I have been fortunate to encounter a range of experiences where I have noted the adaptability and quickness of the women I have interacted with, whether professionally or in my personal life. So my readiness to embark upon fatherhood was tinged with the knowledge of the many challenges and delights a daughter would bring. And as someone who relishes a challenge, this was something I found hard to resist. So now I have a daughter of 8 who is the centre of my universe, and her reactions and character are a source of endless amazement and delight. Is this where the story ends? Hardly. Being a man in society I fully understand is a totally different thing from being a woman in the same context. Despite the many years of progress I have witnessed, there are still some inequalities a woman may encounter but a man will not. Fortunately these are becoming scarcer and are now legally indefensible, however they can still persist when supported by inflexible minds. It is this world in which my daughter will grow, and so I see the role of a father to a daughter as more than just a care giver and source of constant love. It is also to support her development so her character can reach its fruition and her inner strength can overcome any obstacle which she encounters. As such I am conscious in play, conversation and actions (in fact the entire gamut of my reactions) how I need to provide an example, and also a reference point for her to discover and understand all she experiences. A little over analytical? Certainly I have been guilty of this in the past. However you only have to watch a few minutes of any music channel, or encounter a magazine or mainstream movie to see how men and women are represented. Let me point out straight away that I am not advocating any form of censorship. I believe you risk over-protection and can end up negatively insulating a person from reality and free expression. No, I believe in challenging stereotypes through the power of explanation and discovery. For example, if I see a male singer in a music video with a horde of voluptuous women cavorting around him, giving the illusion of interest, I have to step in to the debate. Although I would rarely seek out such videos as they show a lack of originality which will also be present in the music itself. Such moments if I am viewing with my daughter, offer a teaching opportunity. We discuss how videos are made, the role of a director, of an artistic vision, of the dancers being paid to perform a role, all aspects which highlight how this is more than a ‘slice of reality’ and how this has been constructed to provide an artificial view of life. By the end we are both smiling at the absurdity of the content, and the lack of imagination of the artistic direction. Ultimately we use it to discuss how she might have done the video differently and once again I see her imagination unleashed on a unique problem, often offering fascinating conclusions. Another aspect is the traditional realm of play. For decades there are certain gender roles associated with types of play and toys themselves. There is a saying, “You can never stop your son from wanting to be a pirate, or your daughter from wanting to be a princess”. And it is not for me to discourage this realm of expression. Rather it is for me to unlock the potential of both sides. Ok, choose to be a Princess, but why not a Pirate Princess? Fortunately Disney, Pixar and similar large animation studios are catching onto this ‘lost’ market opportunity, and releasing many similar female role models who even if they are Princesses, are not recognizable in the traditional sense and are just as comfortable in sword fights as their erstwhile Princely companions (oft times, more so!). This is making the job a lot easier but still some questions persist when older content is seen. Once again being ready with an explanation and discussion as to whether the view portrayed is in fact realistic is always valuable. Meantime, it is important to highlight and reinforce female role models when they present themselves whether in a historical context, in modern life or the realms of fantasy & entertainment. In having responsibility for a daughter the onus is always to be as challenging and supportive as you would with any ‘rough and tumble’ boy. Amusingly, often the reason girls don’t involve in such ‘rough and tumble’ fighting or activities is because they recognise the inherent pointlessness in it. Already the female mind is assessing and coming to conclusions it will take their male counterparts many years to understand for themselves. I do have to register one frustration, and this relates to how others do not seek to challenge their own prejudices and seek to impose the same upon you. The classic ‘advice’ in parenting which sadly will be offered more by mothers to me than by fathers. 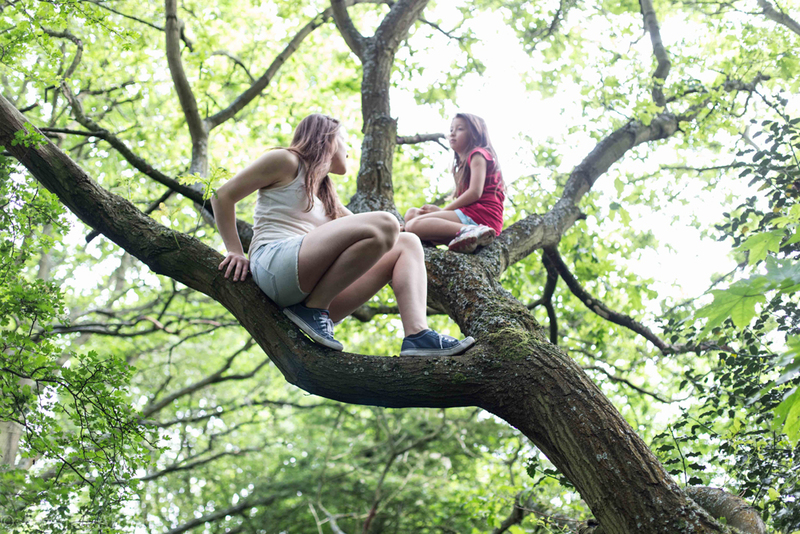 “Should she be doing that?” “Aren’t you worried she might fall and hurt herself?” These last examples are most often offered when my daughter is halfway up a tree or surmounting some other obstacle she has spied. To be honest, my daughter has gift for climbing. One of her most fondly held wishes is to be able to fly (fairy style). I guess her delight in scaling increasing heights is a reflection of this ambition in some small way. The climbing I have seen viewed with envy and interest by many a child, boy and girl, who secretly wish to be in a similar ascent but have been warned off by their parents too many times and are now conditioned to ‘know their limits’. This is a travesty for any child but so often accepted for a girl, as such behaviour is labelled ‘unladylike’ or otherwise unbecoming. How much more ‘becoming’ can it be for a child with athletic abilities to express them in some momentous struggle with an opposing tree or other challenge? It is the very essence of childhood to be exploring and learning your own capabilities and talents. To intrude at such a point is to prematurely handicap a child, even before the onslaught of modern society begins in earnest. There will be enough people telling your child how to behave and whom to be as they get older, particularly for a girl. So why join the rush to limit your child, especially your daughter, when what she needs is to be free to know herself and to be confident to express herself and stand against those who would seek to place their views upon her? We have all been in situations, at work and even more sadly in relationships, where someone seeks to impose their worldview and just expects you to comply. It is here where the greatest gift you can offer your daughter is to support her character and the development of her inner strength and the knowledge of her own potential. As a father my job is not to mould, to shape or to develop my daughter. It is to support her own growth and development. It is a journey I am fortunate to be an invited witness to but ultimately it is a journey for her alone. I will not always be around to offer protection or guidance so must help her develop her own coping strategies and strength of character. It is this which will allow her to truly experience all the world has to offer, and to not be afraid to be herself or accept a role she does not believe is worthy of her talents and personality. Being a father to daughter is a gift, an honour, a responsibility and a constant pleasure. Who could ask for anything more?